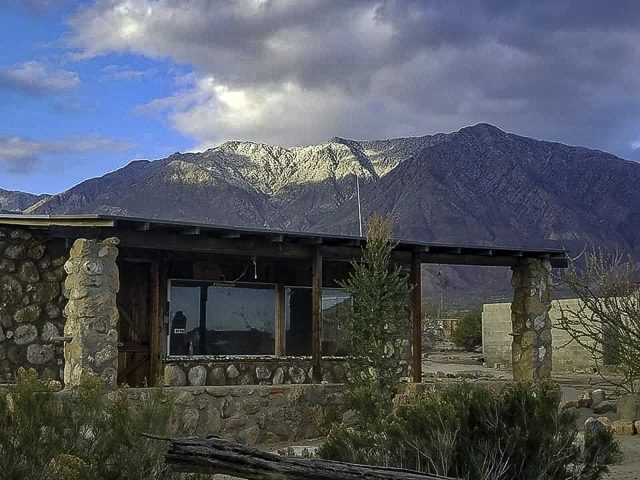 Discussion in 'Baja Bytes By Gary Graham' started by Baja Bytes, Jan 7, 2019. 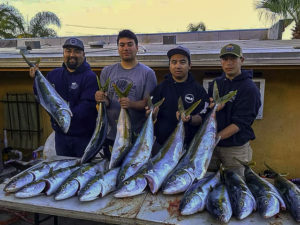 Yellowtail, tuna and rockfish spice up the New Year’s sportfishing prospects from Ensenada down to Vizcaino Peninsula, while the striped marlin bite begins to slide downhill from the “Finger Bank” closer to Land’s End. Snow has fallen in Baja Norte as evidenced by this photo of the foothills at Bahia de Los Angeles. No big bonito have been found recently, though there is a good chance that some are still around. They have been a few seen just outside the kelp line to ½-mile west of the Bull Ring. Trolling rapalas and small feathers have been a good way to locate them, as well as finding bird schools. In a few cases, casting mega-baits and colt snipers into foamers have been getting instant bites. There is a strip of 61- to 62-degree water extending from the Border. This water has some kelp with yellowtail on them and on Saturday there were reports of several different schools of fast-moving 15- to 30-bluefin tuna. 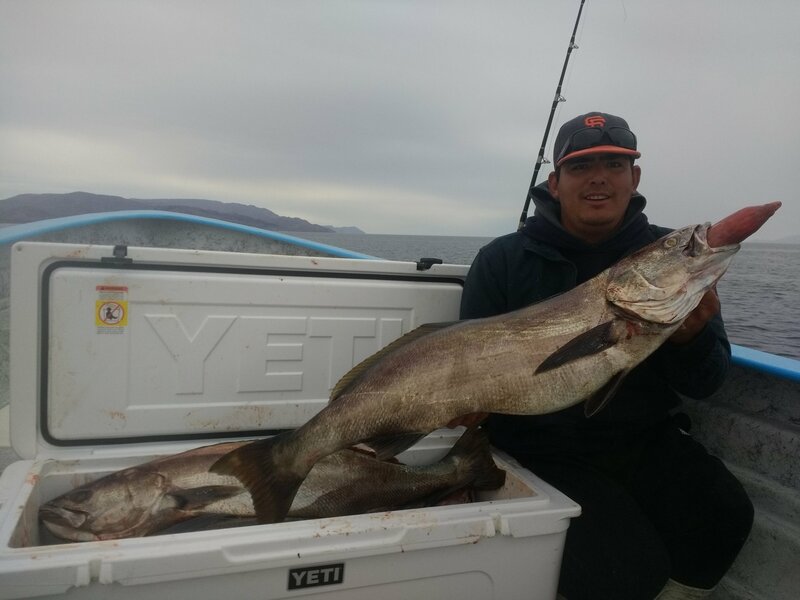 The Pacific Queen scored 12 yellowtail to 25-pounds on the High Spot. They bit the larger yoyo iron like the 6X full-size and the 7X. The 67 yellowtail on the New Lo-An were in fact kelp-paddy fish found a few miles west of the High Spot. Only the Pacific Queen’s fish were caught there. The New Lo-An saw little signs of yellowtail on the High Spot but did manage to score limits of reds on the Ridge nearby. After that both boats loaded up with limits of quality reds and other mixed rockfish plus a few lingcod in dead flat calm seas. Out fishing with my friends, Mark Legger, Robert Latch and Joseph Rafertyfrom Las Vegas, Nevada. We hit the weather just right and caught yellowtail, sheepshead, reds, lings, whitefish, bonito and mako shark. 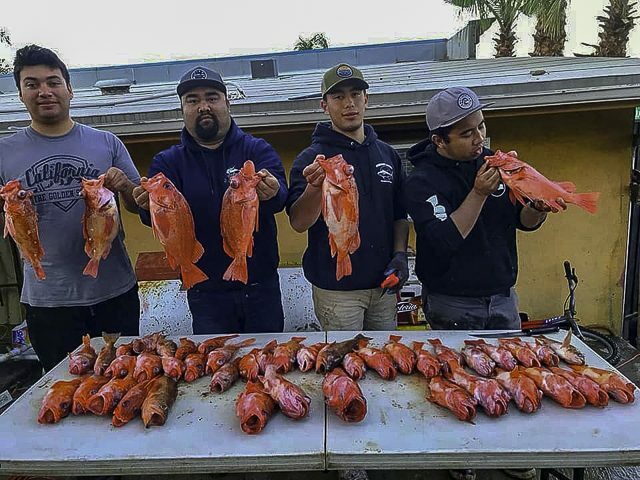 The year 2018 has ended and 2019 has begun with yellowtail fishing being as good as it gets! I don’t keep many fish but the last couple of weeks I have had a string of days where I landed in excess of 10 fish in the morning. Even had one day where I landed 20 yellowtail before the sea lions moved in and shut me down. 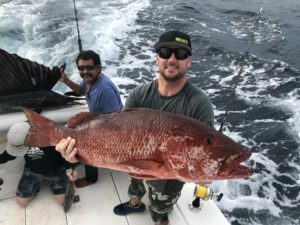 Most were in the 18- to 23-pound range but there are some real bruisers cruising around, with some 45+-pounders coming ashore, and most of the action is within a few miles of the launch. Yesterday I decided I needed a change of scenery and with flat calm conditions, I headed offshore, just to look around in the 67-degree water. I had no expectations and would have been totally okay with just seeing the life out there — a few breaching makos, a big thresher, and lots of turtles. But I ran across an area that had some birds showing an interest and put the trollers out and I landed 3 yellowfin in about a half-hour. 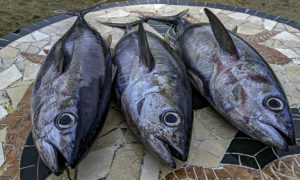 I’ve never heard of tuna in this area in January, so it was quite a surprise for the locals and me! 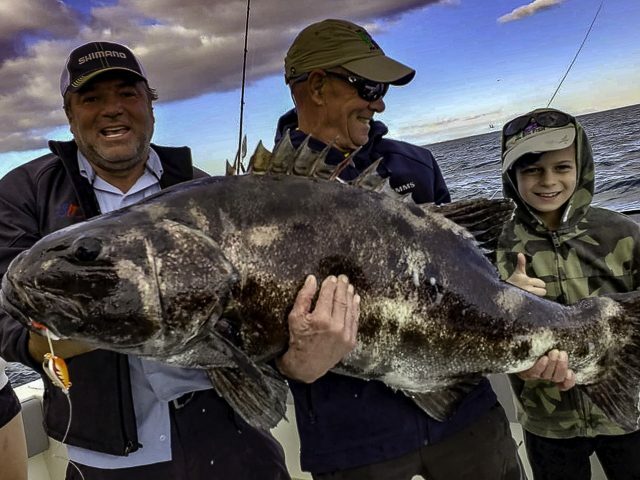 Julio Meza with Larry Dahlberg, from Dec. 29th to Jan. 2nd — two black bites plus a mixed bag for the kids. We had the complete assortment of the annual Baja weather possibilities all in the New Year’s first week. Water temperatures are also all over the map, and our holiday scuba crowd is getting water from 72 on some days followed by a chilly 64 on others. 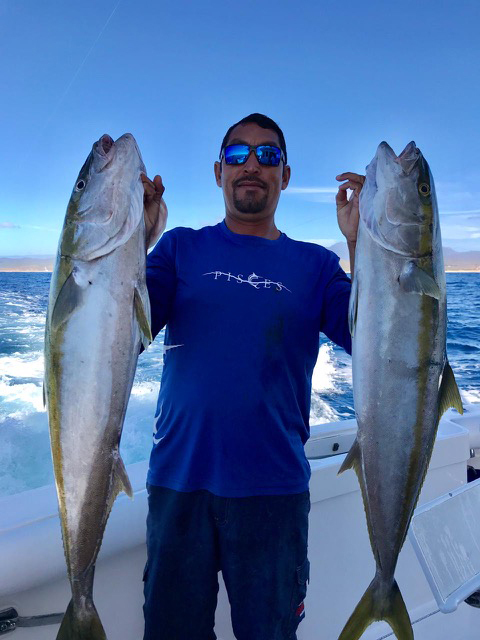 Fishing continues with yellowtail coming to the forefront; a few returning captains are complaining of break-offs on big fish! Dorado are becoming less frequent guests in the ice box but cabrilla are still holding a strong second place on the fish count. Now, in the full throws of winter, I don’t have a fish report this week. Strong north winds and cold air temperature have kept most anglers off the water. Normally when not fishing, I get some kind of jungle drum report from the fleet, but this week I haven’t heard a peep. 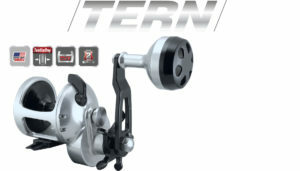 Last season, with Accurate’s introduction of their first star drag reel the “Tern,” it has come to my attention that many anglers don’t understand the difference between star and lever drag reels. Maybe some of them don’t really care but I’m going to do my best to explain it anyhow. As a kid I grew up using star drag reels. The drag washers or brake system is built into the reel’s drive gear. That allows the spool to be as light as possible which in turn gives better casting ability. Adjustment of the drag is by turning the star that is behind the handle tighter or looser for more or less drag pressure. This type of reel has a shifter to click it in or out of gear. The lever drag reel has the brakes built in on the side of the spool or in Accurate’s case both sides of the spool. This adds weight to the spool theoretically making it cast not as freely. It has a lever to apply drag that works similarly to the brake pedal in your car. The further you push the lever forward more pressure is applied. The advantage is these reels have more brake surface to give more drag pressure and the ability to return to preset drag pressure. When in battle if an angler moves the star to obtain more or less pressure there is no way to return to the original preset while in battle. With the lever the angler can return it to where it was preset. Back to when I was kid, the reels we used had a couple of sleeves that the spool shaft rode on. As technology progressed the sleeves were replaced with ball bearings. This improved casting ability and was a huge improvement to both types of reels. Now most Accurate reels have five ball bearings on the spool shaft of the lever drag reels making them cast like a dream. I read somewhere that now the new star drag “Tern” is becoming the fishing industries choice as the best for casting jigs and small bait. My personal take is the lever drag Valiant isn’t much behind. As a professional fisherman on the water more than 100 days a year, I will settle for nothing less than the best gear available. It is undeniable Accurate has revolutionized the industry bringing smaller, lighter and more powerful reels to the sport. It is more enjoyable to not struggle or fight with heavy equipment and focus on the battle of the catch. …Mark Rayor, Jen Wren Sportfishing. Still no sign at all of sardina and caballito in the marina area were also becoming more scattered; ballyhoo were available as were slabs of squid, though with the tuna action now at a standstill, the squid is not really being used that much. There are more reports of sardineta and mackerel schools moving in on the bait grounds off San Jose del Cabo. It is the time of year we see this bait activity, and it should be around into February, unless the shrimp trawlers start working these areas. The striped marlin action is still going strong on the Pacific grounds, though mid-week there was a flurry of stripers found off of San Jose del Cabo; this faded out as quickly as it developed, and we should start seeing more billfish moving in the direction of the Sea of Cortez as soon as more of the bait schools shift in this direction. 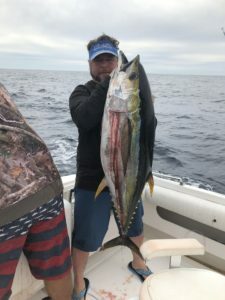 The yellowfin tuna bite completely faded out at the start of the week. 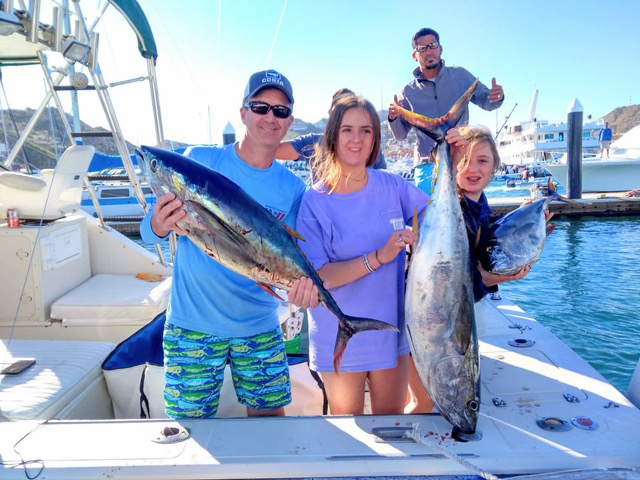 The Eastern Pacific bonito were hitting rapalas, hoochies and yo-yos on the Gordo Banks, but these were small fish up to 8-pounds. As the water clarity improved, we saw more dorado and even the wahoo made a decent showing. Punta Gorda was one of the areas where some wahoo were accounted for, striking mainly on various baits, ranging in sizes up to 35-pounds. If water does not become too much cooler and turns over to green again, we should still have chances at wahoo throughout the month. Dorado were spread out striking best on rigged ballyhoo — no huge numbers, though some charters did land as many as four fish and we even saw a couple of dorado that were heavier than 20 pounds, however, most of these fish were averaging 10 pounds. 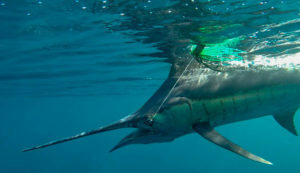 Numbers at a glance: Billfish 50%, tuna 29%, dorado 13%, other species 11%. This week’s fishing has maintained itself close to last week’s numbers. 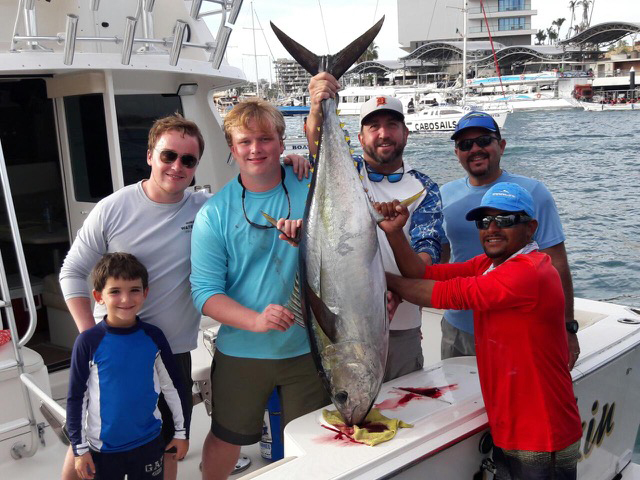 Steady tuna and dorado catches, with some anglers targeting other species successfully, such as yellowtail, sierra, triggerfish, and snapper. 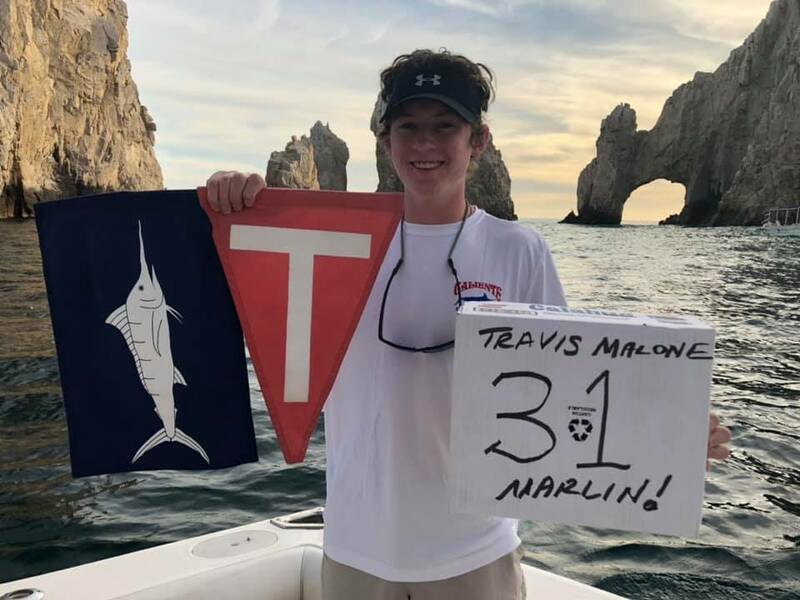 The marlin have started to make somewhat of a move out of the Finger Bank and we have been finding many this week closer to Land’s End, from The Old Lighthouse to Los Arcos. 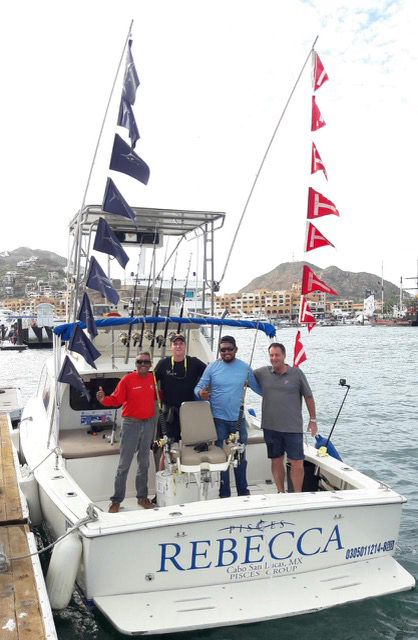 Although the Finger Bank fishing has still been successful, it no longer has consistent reports of numbers of marlin topping 30+ per boat, but more of an average of 8 to 15 marlin caught per boat — which is still impressive and of course very fun. Mr. Massimo Sansoni from Campania, Italy, fished with us for 6 days over the course of the past two weeks. His son, Gabriele, accompanied him on some of the days, but mostly it was just him out there, making the long trip from Europe well worth it. He caught, tagged (many), and released 62 striped marlin in his time with us, fishing most days at the Finger Bank and only one day nearby. His boats of choice were the Pisces 31’ Tracy Ann and the 31’ Rebecca. Mr. Sansoni fished with us for the first time about 10 years ago and was finally able to make it back. LOCATION: Finger Bank, Old Lighthouse, San Jaime, 180/170 Spots, Las Margaritas, Pozo Cota, Los Arcos. WEATHER CONDITIONS: Weather was hit or miss, mostly calm seas with some rough days scattered in-between. Wind picked up and died down throughout the day (afternoons were usually calm). Mostly overcast. AVERAGE WATER TEMP: 70 – 74 F.
then he proceeded to release another 30 for a total of 31 striped marlin released! Congratulations, Tyler! We ended up with 50 stripers released today and called it a day fishing. Fishing with me and my brother, Steve Brackmann, for the last day of 2018. What a year and a great 3 days of striper fishing with 131 released to end the year…David Brackmann, Caliente Fishing. Quite a few striped marlin around, but we were not interested. Left Cabo in the morning and ran to find the porpoise. Got on a school in no time, and hit three 25-pound fish right away. Launched the kite and after about an hour we hit a fish that was around 100-pounds, but he came unbuttoned right away. Back out the kite goes, and 45 minutes later, we hit a 50-pound fish, and then a short while later, another 60-pounder! SNOOKZILLA ??? First Cast this morning by Cory!! Measured out to 48” or 122cm. You wanna have the right gear for the job when you hook into that fish of a lifetime! Good way to start off the year! Fished Corbeteña Rock for some fun fishing!! We are looking forward to ringing in the New Year with warm weather, calm seas, cold cocktails, and great fishing! 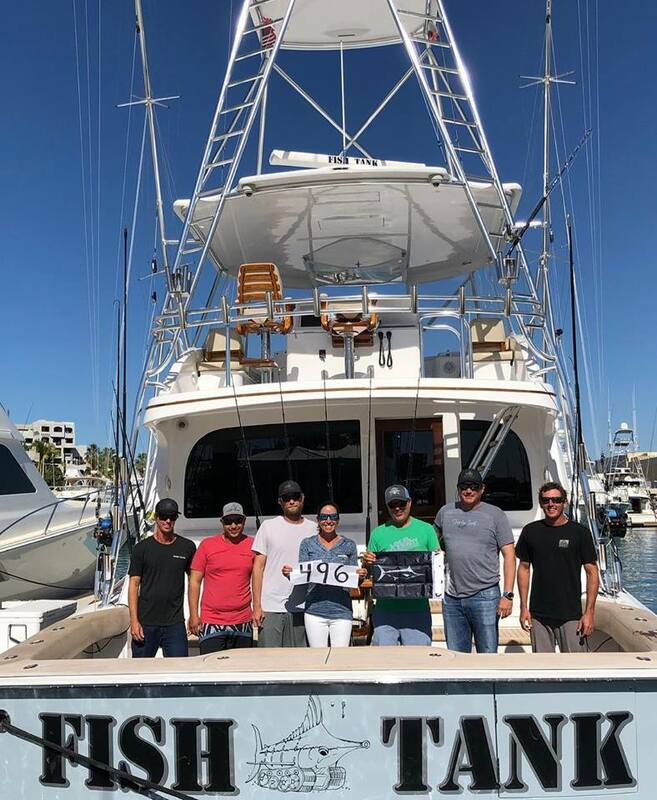 We would like to thank 2018 for the double-digit sailfish and marlin raises, releases, tuna, and mahi-mahi. 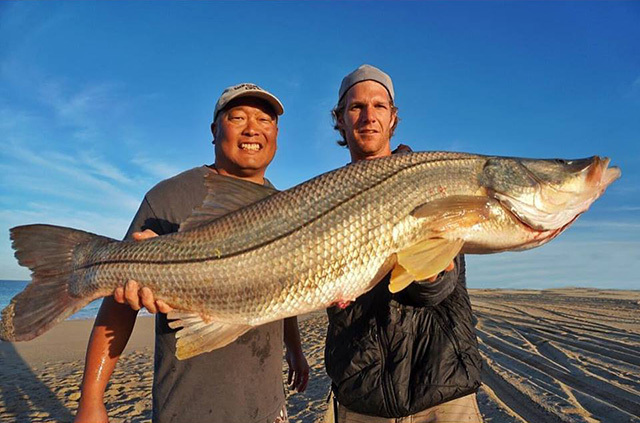 We want to give a huge shout-out to all our amazing anglers who make it look easy! We are excited to see what 2019 brings us. If history repeats itself, it will be another epic season! 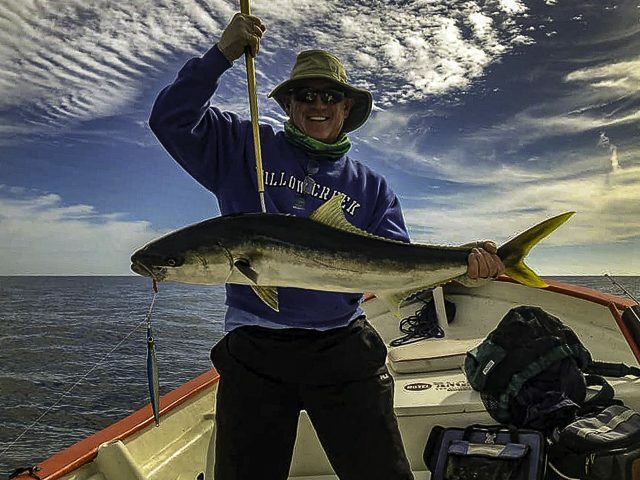 The fishing has been great offshore with more dorado than we could possibly reel in. 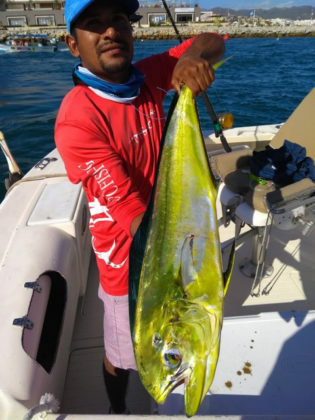 It has made it abundantly clear to anglers just why learning “bait and switch” is so important as giant Mahi tear through the spread, demolishing bait. There has been an abundance of bait around, but they aren’t always easy to target. 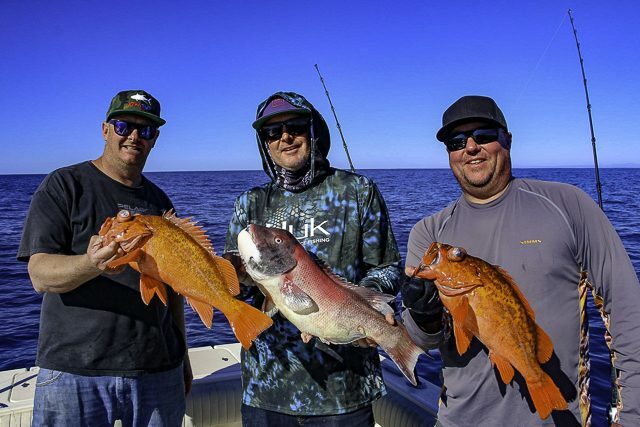 The billfish bite has been good with the first Boat Slam coming hot on the heels of the opening of the season. 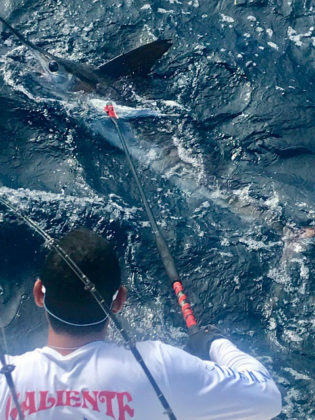 There are days where the billfish are lethargic eaters while in the spread, but in general, most of the time, we’re experiencing explosive bites. 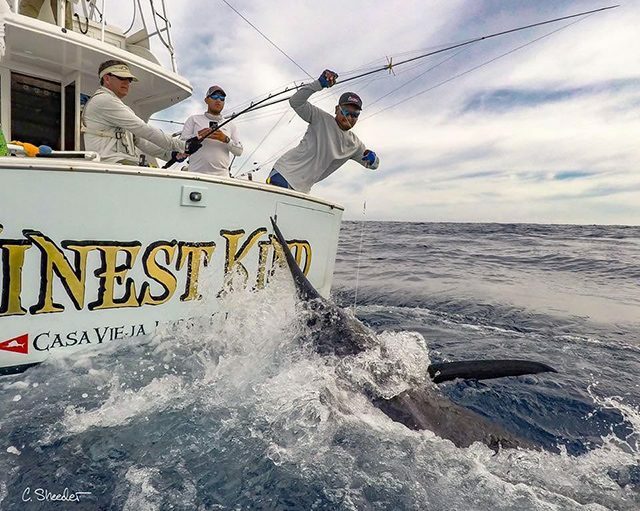 Smaller marlin — around 200-pounds — were seen at the opening of the season. The smaller marlin are a size uncommon for this area, but the fleet also released blues and black marlin in the 500-pound range. Awesome report and pics as usual. Best winter viewing and reading here ever. Good stuff! SNOOKZILLA is right! Look at the size of that beast. What a catch! Raining like hell in the OC all day. Can't wait for my 3 day in May 1st trip back.